Interesting times in China as the IJA seems to have launched a Northern Offensive coupled with moves on the Southern Front. Chinese positions to the East of Nanyang were assaulted but held dealing the Japanese a somewhat bloody nose. Six Japanese divisions supported by strong artillery elements assaulted defensive positions manned by the 2nd and 26th Group Armies. It is clear that Japan intends to surround the Loyang/Chengsha position by throwing her armoured units into the the plains to the North East of Nanyang and run into the rear of the Loyang position. The attack on Nanyang makes sense as it clears the left flank of the Japanese attack. 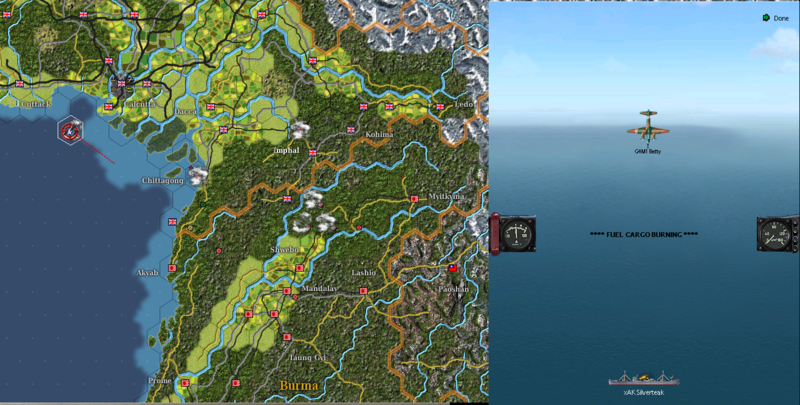 Chinese redeployments have begun to take advantage of the wooden terrain behing Nanyang and to the South of Sian in order to counter the enemy superiority in armour. 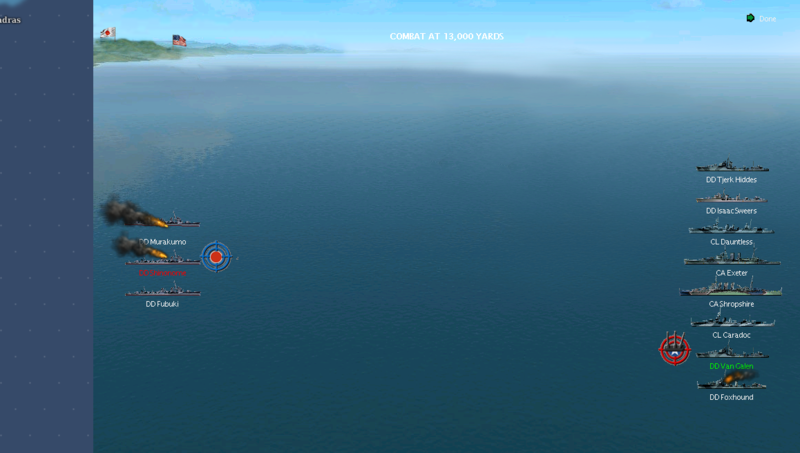 Elsewhere Japanese cruisers bombarded the forward base at Bathurst Island causing moderate damage to the base there. Something must be done to counter the Japanese cruiser menace to the bases at Merauke and Bathurst. Interesting events around Ponape as well. For a number of days Japanese transports had been seen snooping around Ponape. Earlier actions had seen submarines sinking several support craft there but these transports were soon identified to be troop carriers. As such DESRON 45, stationed at Tarawa, was ordered to try a high speed sweep of the atoll as submarines staked out the approaches. The last visual of the enemy transports was at last light on the 17th. 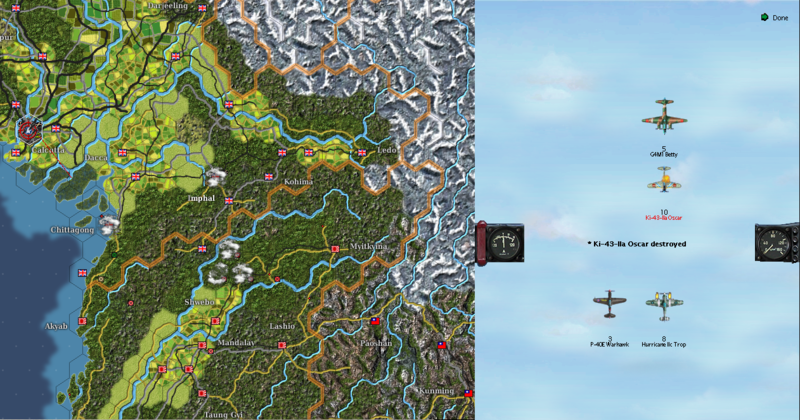 DESRON 45 swept in and found the atoll bereft of enemy vessels. What they did fin however was a rain of bombs and torpedoes courtesy of D3A2’s and B5N2’s from a Japanese carrier hitherto unidentified somewhat to the North of Ponape. Thankfully no destroyers were hit or damaged but the call was too close for comfort! Match corresponding to the FA Premier League and played at Old Trafford. After the debacle at Anfield on Saturday and our elimination from the FA Cup (update on blog was not forthcoming as we were moving into our new house on Saturday) David De Gea called in ‘sick’ yesterday and to make matters worse Anders Lindegaard has apparently hurt hos foot quite badly in training. As such Ben Amos was fielded in goal by SAF, a rather telling moment in the career of our Polish goalkeeper! Needless to say it was a game of two penalties, that for once were as clear as the light of day, and the penalty that was the clearest of the three and not given. United dominated this match quite easily and Paul Scholes seems to have turned back the years with quite a masterful performance in midfield. Stoke were uncharacteristically quiet and lacked their usual bite and growl. Hell even Park looked like a footballer for once and won us our first penalty that was transformed by Chicharito, his first goal since the game against Newcastle United in November. Valencia continued in his recent rich vein of form and drove the Stoke left back rather insane with drooping shoulders and mazy runs. Dimitar Berbatov, sporting a new Balotelli style mohican, converted our second spot kick in the second half and that was the end of the game as a contest. Paul Poga came on with 20 minutes to go and rather impressed in his Premier League debut. An evening that was made even better by the news that former Red Darron Gibson scored Everton’s winner against Manchester City at Goodison Park! One can argue that that was Gibson’s greatest achievement for United. The game against Chelsea on Sunday at Stamford Bridge has been nicely set up! Onc again the Bay of Bengal resounds to the sinking of British and Commonwealth merchant ships. Indeed SEAC has immediately set plans in motion to strike back at th hornet’s nest that sank three transports at Calcutta harbour itslef. Too busy tussling with their Japanese counterparts, the fighters forgot the real danger. The 18 inch torpedoes carried by the Mitsubishis. 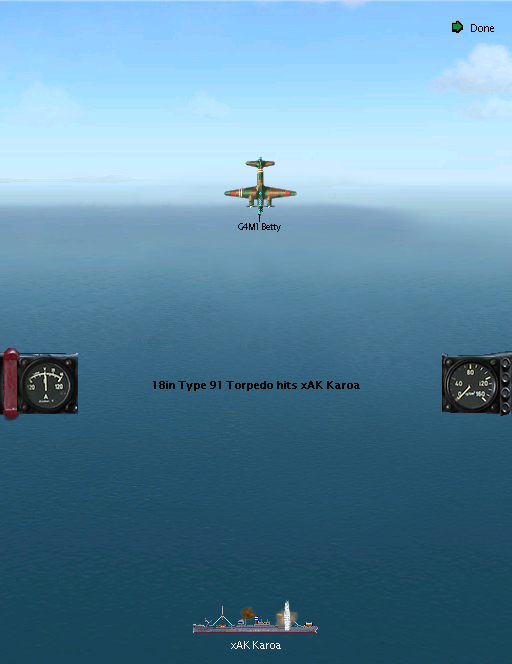 Straight as an arrow the five enemy bombers achieved a remarkable 60% hit rate as they sunk the Karoa, the Silverteak and the City of Pretoria. The 225 Group, responsible for the air defence of Calcutta, got a severe chewing off from the high command. Merchant Marines were losing their lives due to the inability to defend the air space above Calcutta! 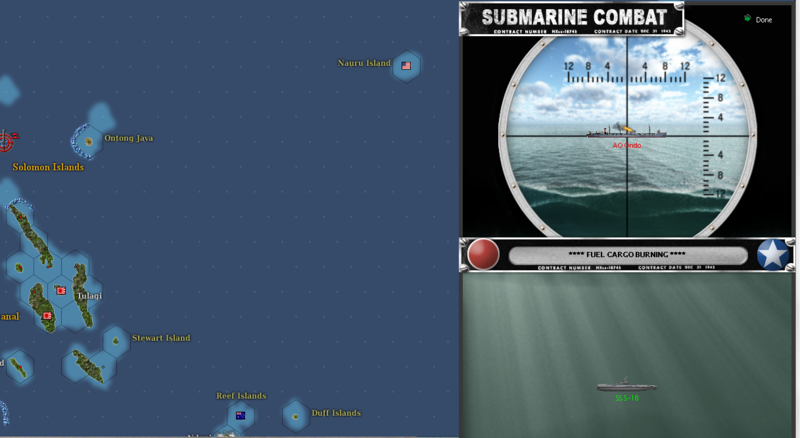 US submarines dealt a heavy blow to whatever operation the Japanese were carrying out in the Solomons. Heavy maritime traffic was reported entering and leaving Munda with a mass of fast transports, destroyers and APDs spotted. 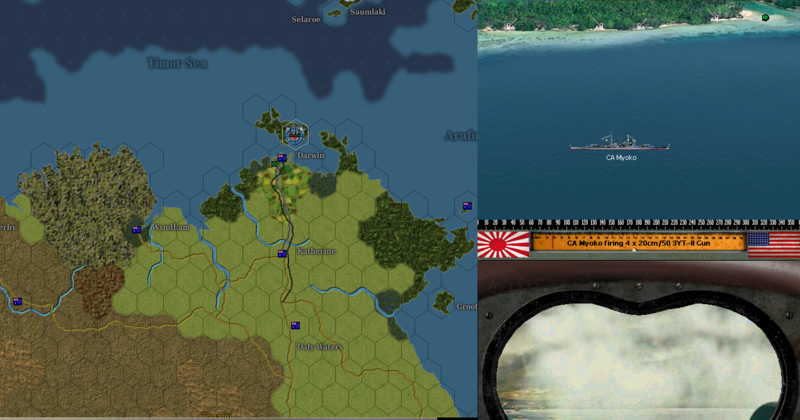 Intelligence also reported a mass redeployment of the 38th Infantry Divison from Guadalcanal to somewhere else, at the moment it was moving to Lunga, no doubt to be loaded on bigger transports. An interception by a squadron of PT boats met disaster at the hands of a powerful covering force of two battleships and several heavy cruisers. At least one carrier, identified as the Hiyo, was also covering the operation. Enter the Silent Service. 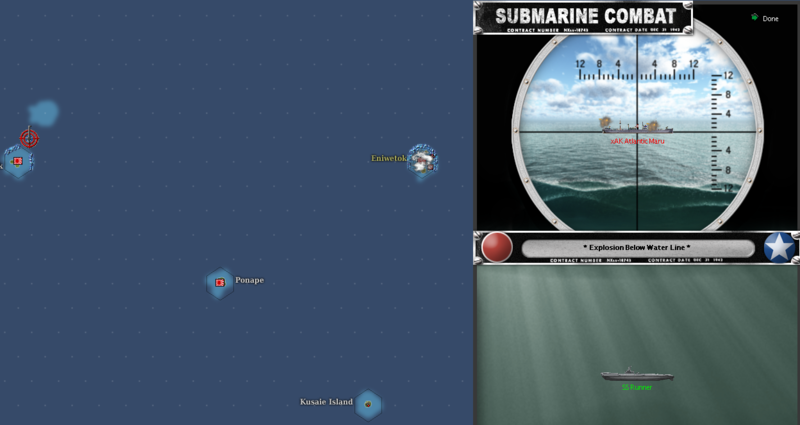 Two submarines, the SS Salmon and the venerable S-18 both struck at the fleet support train supplying fuel to the enemy ships in the Southern Solomons. First the Salmon struck the Japanese oiler Toei Maru with two torpedoes with one explosion that set off a massive fire as fuel reacted to the flames created by the exploding warhead. The smaller, but carrying more reliable torpedoes, S-18 also successfully engaged the fleet train by severely damaging the 7,000 ton AO Ondo. Once again the gratifying sight of full bunkers going up in flames was seen through the periscope of the skipper on the S-18. A third tanker was sunk of Miri, Borneo by the SS Searaven. Miri is no doubt one of the Empire’s fule hubs and as such will soon have a standing wolf pack patrolling its approaches. 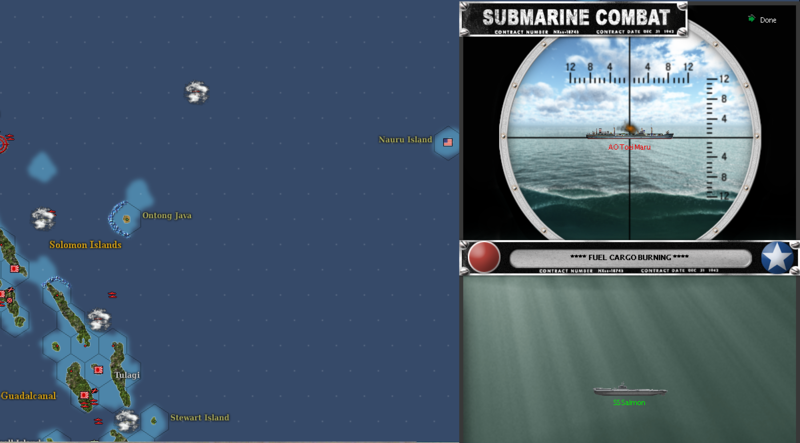 Finally the SS Runner successfully attacked a convoy heading into Truk for the second consecutive day. If it was the Celebes Maru yesterday, today it was the turn of the 4,875 ton Atlantic Maru to receive a torpedo deep in her guts! These latest victims make 74,695 tons of enemy shipping sunk or destroyed in a week! Operation Tully was a go. It had been obvious since the capture of Mili and Majuro that an attack on the central Marshall Islands was soon to come. Twice before the operation had been called off as enemy carriers snooped into the area of operations. The last cancellation averted a major disaster thanks to the SS Trigger and her attack on the Shokaku and subsequent location of the main enemy fleet. Third time was as charm. The main carrier fleet was suspected in home ports, well the Kaga and Shokaku were in dry dock for sure. Other elements of the enemy carrier force were spotted two days ago in a cover position near the southern Solomon Islands. Large number of fast transport vessels were seen coming into Lunga, the carriers no doubt providing aerial cover. Ship sightings at Ponape were proved to be ACM’s, sunk by the SS Silversides. The plan called for simultaneous landings on Roi-Namur and Kwajaelin. The 1st USMC Paras would carry out their third combat jump of the war as they dropped into Roi-Namur in support of the the Army’s 35 Infantry Regiment. The main landings on Kwajalein would see two USMC tank battalions in support of the 15th Marine Defence Battalion and the 5th Marine Regiment. The 1st Marine Regiment would act as floating reserve should it be needed. The operation against Kwajalein also saw the baptism of fire of a new landing vessel, the Landing Ship Tank (LST) that would deliver the tanks right onto the beach! 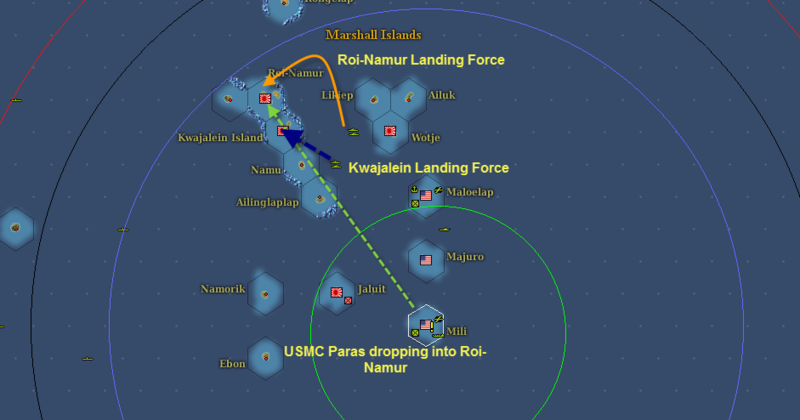 The Bombardment force was led by the New Mexico that bombarded the main enemy positions on Kwajalein prior to the arrival of a force of minesweepers leading the LST’s in. It proved to be an awe inspiring and fearsome sight for the tankers as the big guns on the battleship lit up the coming dawn. The 3rd USMC Tank Battalion was going into action for the first time and it was many a trooper that emptied their breakfast into their tanks. IJN destroyers tried on the 11th March to repeat the stunning success their cruisers had achieved a few days earlier in sinking 13 transports vessels sailing in and out of Calcutta. 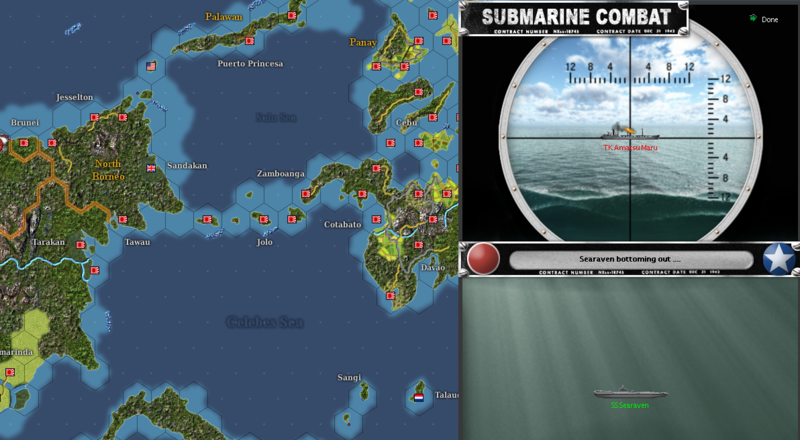 Three Fubuki Class Destroyers, sleek prows digging into the waters of the Bay Bengal, used a dense fog to steal in under the eyes of aerial search planes scouring the area. The Royal Navy, smarting from the earlier attack and willing to restore some lost honour and some faith in the the hearts of the Merchant Marine had similarly posted a patrol under the auspices of the heavy cruisers Exeter and Shropshire and were steaming into the path of the enemy ships. Fog may hide you from human eyes but not from the mechanical one of radar. Shropshires radar mast was the first one to start reporting contacts. Soon the light crusier Dauntless was also tracking three enemy vessels at an extreme range of 22,000 yards. 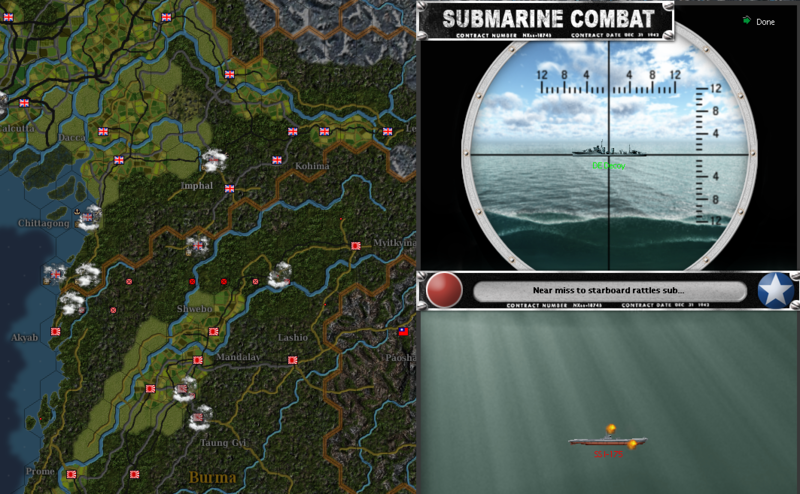 Full battle speed was ordered and armour piercing ordinance was started to move to the turrents on the Royal Navy task force. Solid contact via visual was first made by the Exeter than soon opened up with a full broadside of eight inchers. She was soon joined by the Shropshire as the light cruisers and destroyers sped forward into torpedo range. With shells flying over their heads at supersonic speeds it was the crew of the RNN Tjerk Hiddes that scored first blood when two four inch shells tore into the number one turret on the IJN Murakumo. Highlighted as she was by the sudeen strike the Exeter found her range and struck three telling direct hits that first slewed the enemy vessel to a stop and was then followed by a tremendous explosion that caused the ship to sink. 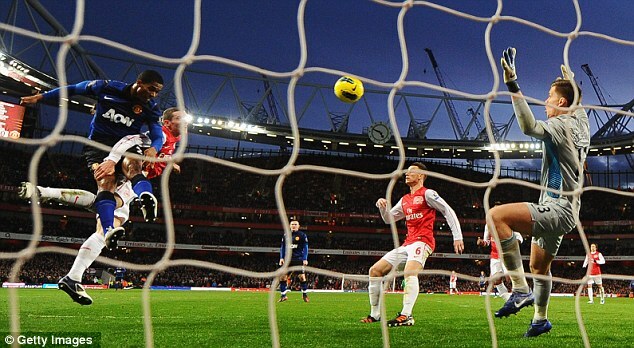 Match corresponding to the Premier League and played at the Emirates Stadium. A great, exciting match that United had no choice but to win as Manchester City had earlier defeated third placed Spurs 3-2 in a second half that was full of drama and controversy. United fielded an attacking side that took the game to Arsenal. Arsenal for their part kept on pressing forwards as the first half progressed, young Chamberlin in particular having a very good game. United’s attacks drew little fruit however as faulty passing and bad finishing meant that United only scored very late in in the half via Antonio Valencia. Phil Jones had already been stretchered off after going over his own ankle and looked in a lot of pain. United’s injury woes continued in the seconfd half with both Nani and Rafael, who had replaced the injured Jones both limped off. Arsenal came off the blovks very quickly in the second half. Quick, decisive and started to dominate United especially in midfield where once again our dearth of quality was obvious and plain to see. Robin Van Persie scored (inevitably) but then missed a sitter after preying on a mistake by Chris Smalling! United’s second goal was entirely upto the effort and determination of Antonio Valencia who took on three of Arsenal’s defence, pulled the ball back for Danny Welbeck to smash the ball into the back of the net. Arsenal to thier credit kept pushing United back and did so until the 95th minute. Welbeck missed a very good chance by engineering to fall over his own feet! The referee’s whistle brought the game to an end after 96 pulsating minutes and both Rooney and Welbeck seemed to leave the pitch limping heavily. Three points behind once again and the Battle of Manchester is well and truly on!